Septic System Guidelines for efficiency and longevity of your septic tank depend on regular maintenance. Periodic inspection, coupled with timely cleaning ensures the lifeline of these tanks. Essentially, you can’t afford to ignore one of the key components of your sanitary system. When you install the septic tank, make sure you are aware of the Guidelines For Maintaining Your Septic System. Besides maintaining seamless health conditions, a clean septic tank cuts down long-term repair costs. Get in touch with a certified pumping contractor to simplify the task. Here, you will come across the basic guidelines that enable you to enjoy a healthy septic tank over the years. In general, a household consisting of three occupants and two bathrooms produces 300 gallons of waste water per day. This takes the annual waste water volume close to 85,000 gallons. Considering the average septic tank capacity to be just 1000 gallons, you should try not to overload the system. Apart from toilets and bathrooms, waste water is also produced while cleaning your rooms, washing your floors and kitchen waste. You can split up these tasks throughout the week evenly, rather than releasing huge volumes of water on a particular day. It takes around 24 to 48 hours for the septic tank to tackle the wastes. Too much waste on a single day results in clogging of the pipes. An average household is prone to two mistakes while they decide to pump out the septic tank. Firstly, they think that they can pump out the tank when it creates a mess in the neighbourhood. Secondly, they opt for cleaning services too frequently. In the first case, the chances of clogging are high. You may have to replace the entire system, which costs between $15,000 and $30,000. Cleaning it too frequently will result in wastage of money. The best option is to contact an experienced team of professionals from a leading pumping contractor annually. They inspect the system and provide you with the relevant Guidelines For Maintaining Your Septic System. You simply need to listen to their instructions and follow up. In most of the households, people drain down certain solid wastes down the toilets. These vary from cat litter, cigarette butts, ear buds, cotton pads, sanitary products to paper towels and household chemicals. Firstly, it is unhealthy for the sanitary system to absorb these products. The solid wastes take a lot of time to decompose. Knowingly or unknowingly, people drain down these objects down the pipes. As these wastes accumulate over the years, they clog the pipes connecting the septic tank to the leach field. It is necessary to flush high-potential water jets in the system every couple of years. This eliminates the risk of clogging. As you need sophisticated technology for this purpose, it is logical to call the certified pumping contractors. 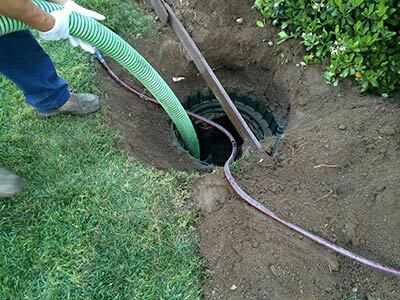 The experienced personnel clean the septic tank and keeps the system perfect. Along with keeping the septic tank free from solid wastes, you control the odour it emits. It is essential to know the proper Guidelines For Maintaining Your Septic System for this purpose. You would not like to create a problem for your neighbours and degrade your esteem. Well, usage of bacteria additives works out well. It boosts up the activity of helpful bacteria in decomposing the solid wastes at the bottom of the tank. In the process, the foul odour does not trouble the families residing close by. Most of the modern septic tanks come with filters. This is placed between the tank and the main drainage system of your area. The filter prevents the solid wastes to mess up with the leach board. If you have an old septic tank, call for an inspection to check the filter. It may be missing or damaged, disrupting the efficiency of your system. The reliable service providers incorporate their technically advanced mechanism to install a new filter in the system. Chemicals includes bleaching powder, detergents and drain cleaning agents. When these make their way into the septic tank on high volume, it becomes difficult for the bacteria to break them down. The overall efficiency of the system comes under threat. It may increase the foul odour and your tank will need frequent cleaning, leading to increased costs. Try to reduce the amount of chemical drainage as it hinders the natural process of decomposition. Hopefully, you will find these guidelines relevant when you try to deliver a longer life to your septic tank. You can request them for a yearly inspection. Keep in touch with the professional pumping company. An honest and responsible team of experts keep their clients updated on the present status of the septic tank.